Discounts depend on the event popularity, how important seeing the show is to you and how much time you might spend on line during your NYC vacation. If you plan to see Broadway Shows, TV Shows, Yankees Baseball or Giants Football, now is the time to look into tickets, since New York locals go every day! We don’t regularly go to tourist attractions or on bus tours, so you don’t have to worry about us booking those in advance. The exception is late November through January 1st and Easter Week. During the popular vacation times, the city is just insanely busy and everything is really crowded, but New York City Broadway Tickets or New York Yankee Tickets will still be sold out long before any tours or attractions. Tourist attractions and bus tours are open and run almost every day, year-round, so work those around your half price Broadway tickets and other New York City event tickets. Should I buy tickets in advance? 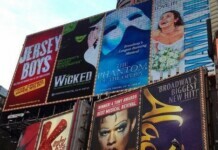 ShowTickets.com keeps a great deals page for discount Broadway Tickets. Taxes and Fees amount to about 10% of the cost, which is pretty low in the industry. 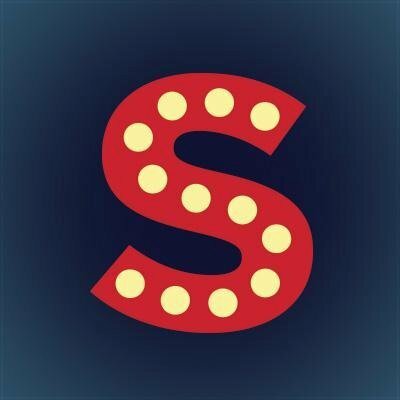 ShowTickets.com is easy to navigate, full of great NYC info and they also offer Tours, Sightseeing, and other New York experiences. Half-Off Broadway tickets can (almost always) only be bought on the day of the show, so you have to be willing to risk NOT seeing a show. You also might spend several hours on line in NYC, only to be disappointed. If your vacation time is not flexible, check Discount Broadway Tickets New York or read below for more great discount event tickets. You might get 30% off instead of half price Broadway tickets, but it’s a guaranteed show and seating, and will save you several hours of waiting on line. If you’ve got kids, you know those hours are priceless! Get same day half price NY Yankees Tickets in Times Square. Modell’s flagship store at 234 W. 42nd St (7th/8th Aves), is now home to the world’s only New York Yankees ticket booth offering same-day game tickets for prices up to 50 percent off face value. Select tickets go on sale on the day of Yankees home games, starting at 8:00 a.m. for day games and 12:00 p.m. for night games, and will remain available while supplies last. More about New York Yankees Tickets. Did you download the NYC Insider Guide Calendar to see how your vacation time looks already? New York City Museums – note the days they are closed. If a New York City Museum is on your itinerary, make sure to note if there is a limited time or a free time for you to see it. New York TV Show Tickets – these are extremely difficult to get, but a great back up plan is the NBC Studios Tour. Download the NYC Insider Guide Free Tour Cheat Sheet with all the free NYC tours and the days Museums are Free and Closed. Wow! Now you’ve covered half price Broadway tickets and all the other hot NYC tickets, booked your Statue of Liberty tour and found the best hotel and airfare to New York City! Let’s move on to a New York City Bus Tour or keep reading about half price Broadway ticket options. Broadway.com is the #1 site online for all things. They offer a great selection of tickets for every show, reviews, show times, behind the scenes information, celebrity interviews, videos and more. Broadway shows sell their tickets directly through Ticketmaster and Telecharge, but Broadway.com combines all Broadway Show information in one site. TicketsNow, a Ticketmaster company, is the official reseller of NFL, US Tennis Open and other direct tickets. On occasion, Ticketmaster sells tickets for a cancelled transaction to avoid a potential loss. For lower-demand events, tickets can sell below face value, resulting in great deals for bargain hunters. TicketsNow is also a great place for ticket holders, unable to attend events, to post tickets for sale, offering fellow fans the opportunity to purchase tickets for great seats – quite common for the US Open, NY Giants and NY Jets games. StubHub, the official ticket exchange of the MLB, is especially great for excellent seats, sold out and hard to find Broadway and Yankees Tickets. Sometimes you can find discount tickets, but it is usually a great place for popular shows, concerts and sports events. They are not a ticket broker, but a reputable company, owned by EBay, where individual sellers set the ticket prices. Only use CL if you are savvy and have used it in your home town. Then, be a bit more skeptical in NYC. So many tickets go last minute – this is where people who “all of a sudden have to work late,” try and sell their tickets. Craigslist NYC can be tricky, as there are potential scam-artists on the site, and there is no monitoring or repercussions. You should NEVER send anyone money without having the tickets in your hand. Trust your gut – as you are exchanging emails with a potential seller, you should easily be able to gauge if they are legit or not. Most of the time if it sounds too good to be true, it is. So, while you may not get half price Broadway tickets, you may still get a significant discount. Because of my long history and contacts in New York City, I get emails almost daily from people looking to sell or give away their tickets- usually some of the best seats in the house. Subscribe to NYC Insider Scoop – and I’ll let you know as soon as these half price broadway tickets, or even less, are made available to you! There are countless ticket brokers in New York City who buy up tickets in bulk and resell them significantly above face value. Technically, this is illegal, but it is common practice. Many of the brokers are legitimate, just charge a lot of money. Ticket brokers should be used only if you are just dying to see a sporting or musical event.